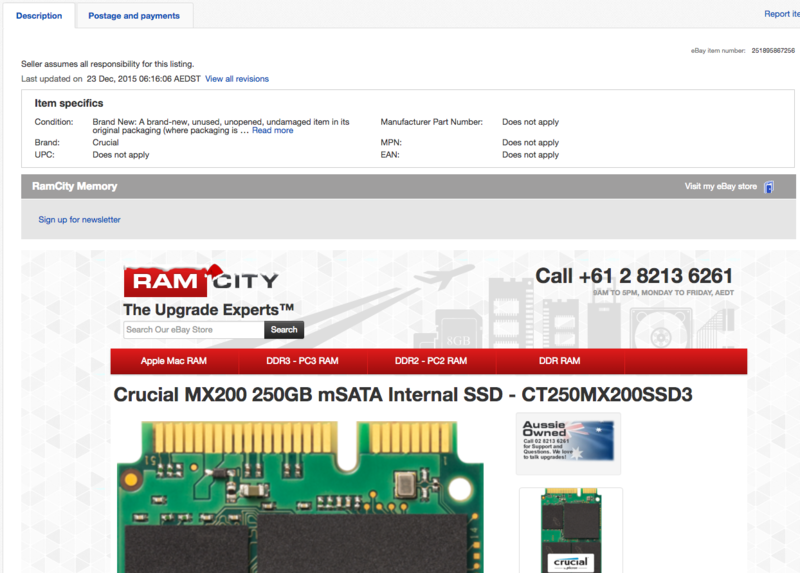 The listing design/theme appears within the "description" tab of the eBay listing itself (see below), offering a simple way to utilise the popularity of eBay to market your company branding, and sell your products. 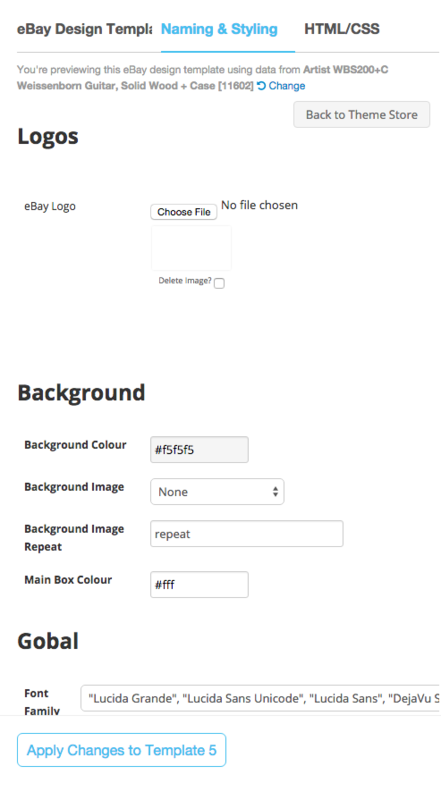 eBay Themes can be accessed by navigating to eBay > Theme Editor in your Neto control panel. 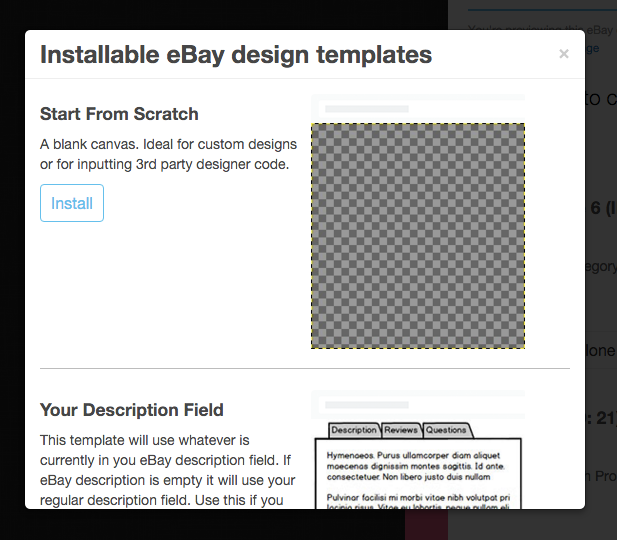 Hitting the "Install New eBay Design Template" button opens up a total of 8 different theme choices, and also a blank template for anyone wanting to start from scratch. After installing a template, you're able to apply a number of different style changes using the editor, including uploading your company logo. 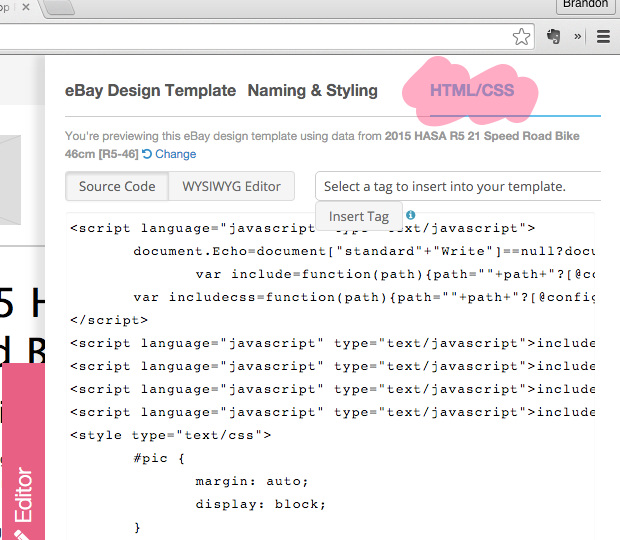 If you'd like to customise the template further by editing the code itself, you can do so by clicking on the "HTML/CSS" tab. The remainder of this article explains some of the intricacies involved with doing this. eBay impose a number of restrictions on what you can and cannot include in your eBay listings; this includes limits for both the code itself, and content. If you don't already have an FTP account for your website, you can request one here. All iframes are prohibited in eBay listings (by eBay themselves). Unfortunately, Youtube videos are embedded with iframes by default. To get around this, you can use this tool to generate YouTube embed code which will work with eBay listings: Tools4Noobs Ebay Embed Code Generator. All links that point to an address outside of eBay (e.g. the URL of your website), may be restricted. Be sure to check eBay's linking policy for your country before adding any external links to your listing templates. 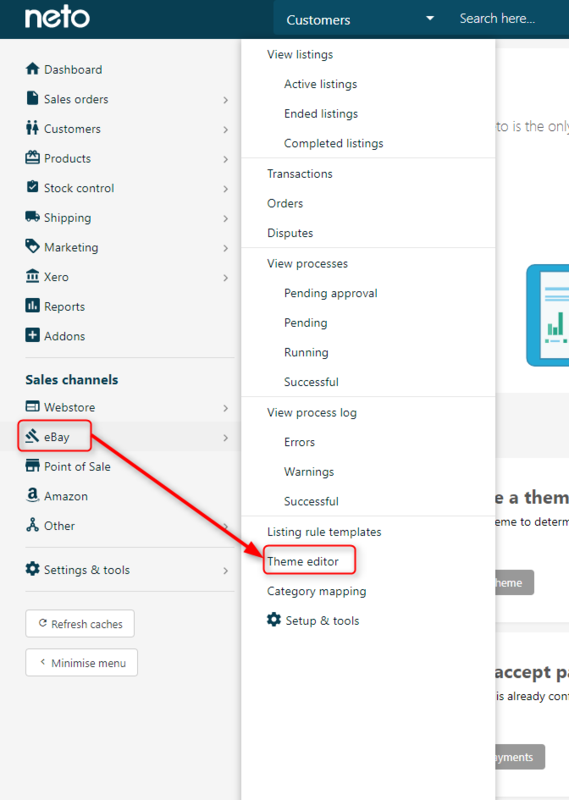 After adding additional code to your template (whether it be within the cpanel editor itself, or within an external CSS file), you can see the changes by hitting the "Apply Changes to..." button. 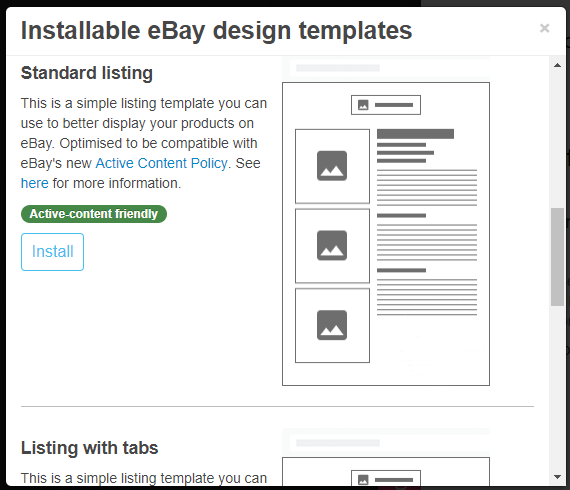 While Neto's theme builder allows you to preview the template, to truly test your design template in the wild, you will need to list a product to eBay. Check out this full guide on how to list products to eBay, in order to test your design. Only a handful of B@SE functions should be used on eBay. All are listed below. [&percnt;content_path&percnt;] Lists all contents relating to products and contents. [&percnt;content_zone&percnt;] You can output any content zones that you have set up in the cpanel using the content_zone tag. [&percnt;ebay_category_menu&percnt;] Your eBay category list can be outputted using this tag: [&percnt;EBAY_CATEGORY_MENU id:'[&commat;EBAY_STORE_ID&commat;]' ebstore_url:'[&commat;EBSTORE_URL&commat;]'&percnt;]. The and tags are pulled from your eBay store setup within Neto. [&percnt;ebay_crosssell&percnt;] Similarly to upsells, products that have cross-sells listed in Neto can be outputted using this tag. 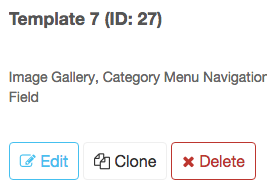 The full code can be grabbed from template/theme number 7 if required. [&percnt;ebay_upsell&percnt;] Products that have upsells listed in Neto can be outputted using this tag. The full code can be grabbed from template/theme number 7 if required.